Pirests of the Priestly Society of the Holy Cross and seminarians in Ivory Coast. 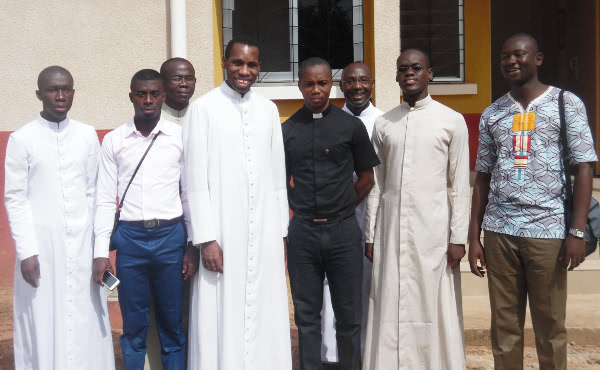 A few months ago, students from the seminary in Gagnoa, Ivory Coast, made their way to Edjeba, a center of formation for priests of the Priestly Society of the Holy Cross situated in Abidjan. They wanted to know more about the spirit of Opus Dei and about Saint Josemaria. As a follow-up from that first encounter came the idea to organize a workshop lasting several days, allowing for talks of formation as well as free time among people who share the same desire to serve the Church. 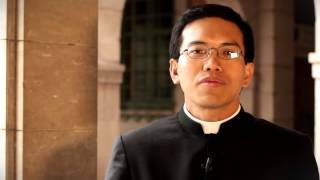 Ten seminarians attended the first workshop. They were unforgettable days of meditations, talks, get-togethers with invited guests, a film, and even time for sports. 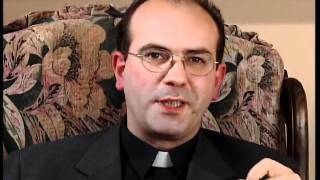 Days that helped the participants better understand the Priestly Society of the Holy Cross as well as the family spirit lived among its members. In our encounters, we try to foster an atmosphere of piety, joy, and family spirit. An especially memorable get-together was the one with Fr. 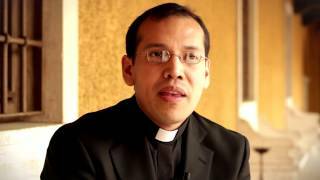 Arnaud, who spoke about his priestly life and also about the help he receives from Opus Dei. Another highlight were the Anthropology classes given by Fr. Traoré, which the seminarians enjoyed so much that even when it was time to finish they wanted to keep going. At the end of the workshop, there was also time for performances, revealing the various artistic talents of those attending. The participants left the workshop with enthusiasm and a lot of hope to be able to do much good. At the second workshop, there were twelve new seminarians in attendance, and in the most recent workshop, that number rose to twenty. In our encounters, we try to foster an atmosphere of piety, joy and family spirit, and each seminarian makes a resolution to be a better friend of his friends. Many of those who took part in the first workshop are now deacons, and are starting to experience the value of sharing these kinds of experiences with other deacons and priests. We hope that the Priestly Society of the Holy Cross will continue in this way to serve the work of the Church in Ivory Coast.